PMZ Realty Capital, LLC, a national boutique real estate investment banking firm focused on creating advantageous capital structures for its clients, announced today it arranged an $11,600,000 floating rate acquisition loan for the Sheraton Albuquerque Airport Hotel located in Albuquerque, New Mexico. 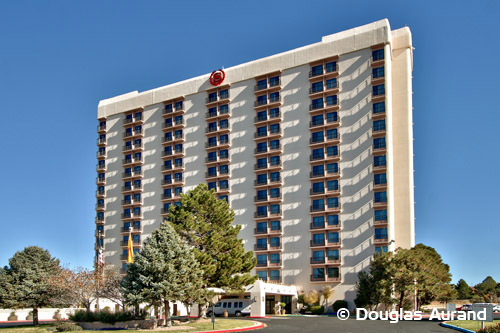 The Sheraton Albuquerque Airport Hotel is the only full-service hotel located at the Albuquerque International Airport and is accessible by a marked walking path or complimentary shuttle running 24 hours a day. The property boasts views of the Sandia Mountains and Rio Grande Valley and is located near Historic Old Town, Nob Hill, University of New Mexico, ABQ Bio-Park, and several golf courses. The 276-room hotel features complimentary Wi-Fi for SPG members, fitness center, business center, Sheraton Club, and seasonal outdoor pool along with the ROJO Grill Lounge, a New Mexico-inspired cuisine with unique flavors, native ingredients, and some traditional favorites. The property has 12,000 square feet of flexible meeting including ten meeting rooms and state-of the art audiovisual equipment to host any group ranging from 5 – 400 people.